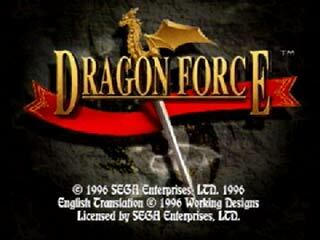 Dragon Force is a Simulation - RPG game, developed by Sega Enterprises, Ltd. / Working Designs and published by Working Desings, which was released in the United States of America in 1996 for the Sega Saturn. 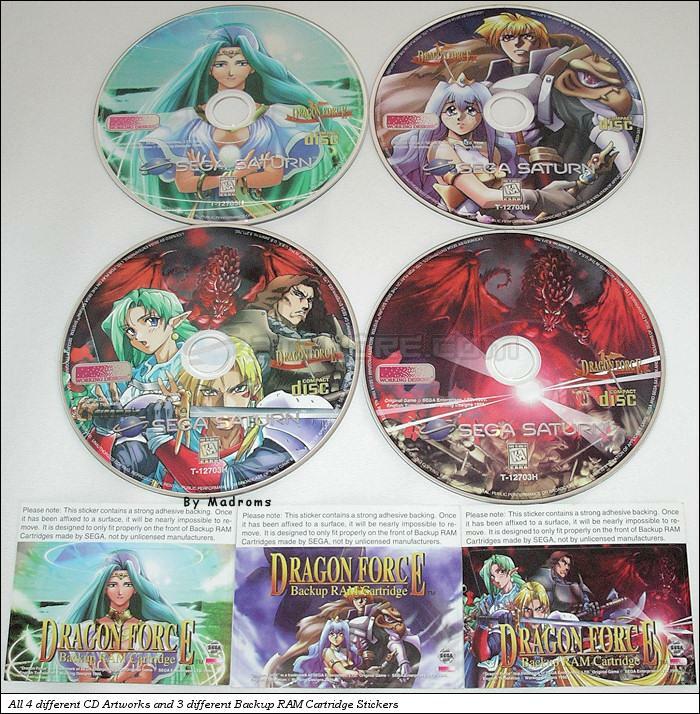 This game has 4 different CD artworks and 3 different backup RAM cartridge stickers (You only get one per game bought). 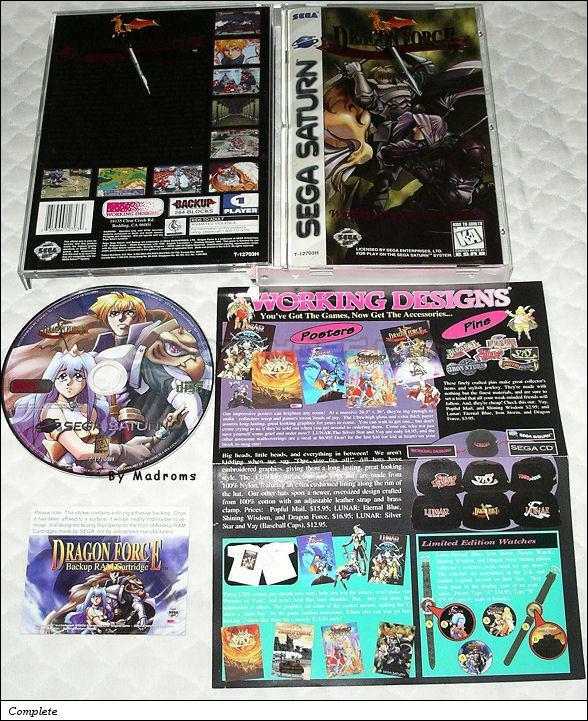 There's a reason this game is so expensive nowadays, and somewhat tough to find in mint condition. It was printed in limited release and literally played to death by everyone who owned it. 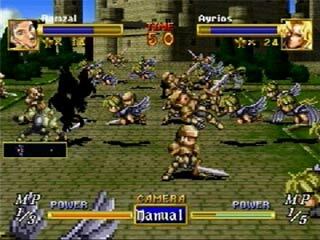 Dragon Force also received rave reviews which made it a highly sought after title for the Sega Saturn, and a great reason to own the console stateside.